Drumrolls, please! 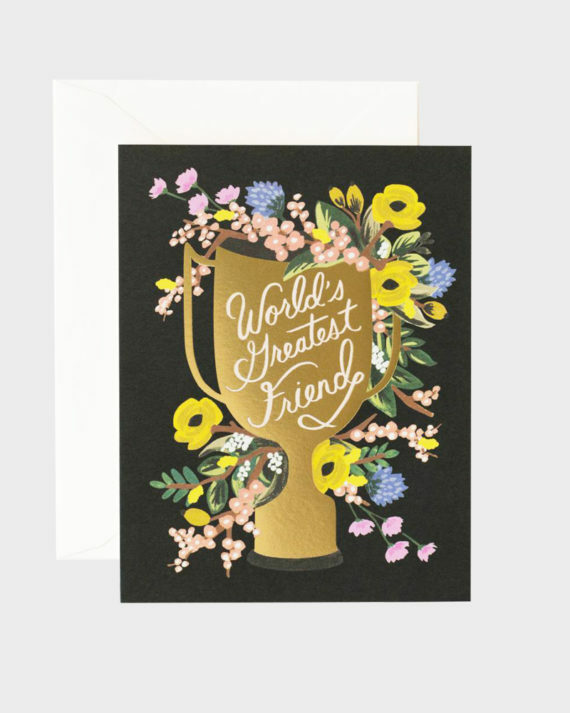 And the award goes to… Because a true friend deserves at least a trophy! Rifle Paper’s illustrated greeting card with a one-coloured envelope. The card has a blank interior and measures 10,8 x 14 cm. Designed and printed in the USA.